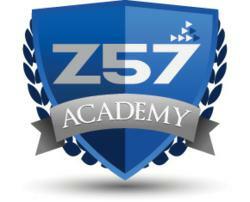 Real estate Internet marketing firm, Z57 Inc, establishes Z57 Academy. Inaugural ZPro 100 Series Courses give Realtors insider strategies to generate Internet leads. To celebrate the launch of the Z57 Academy Training Program, Z57 waives enrollment fee. Z57 Academy was established in response to the need for Realtors to be educated in how to capitalize on the power of the Internet to generate quality leads. After 13 years of coaching thousands of real estate professionals on their Internet marketing strategies, creating Z57 Academy was a natural support addition to our Realtor offering at Z57 Inc.," said CEO Steve Weber. Z57, Inc., a leading provider of real estate online marketing services, announced today the launch of an education division. Z57 Academy was established in response to the need for Realtors to be educated in how to capitalize on the power of the Internet to generate quality leads. The ZPro Certification program consists of five courses. The one-on-one classes provide actionable steps for agents to use to make their website more marketable. Upon completion, graduates earn a ZPro designation and qualify for product incentives and upgrades. For a limited time, Z57 Inc. is waiving the $750 enrollment fee for both new and current clients. Classes will be available on an ongoing basis starting May 3, 2011. According to the 2010 National Association of REALTORS® Profile of Home Buyers and Sellers, the top two sources of information used in a home search were the Internet at 74% and the real estate agent at 69%. Over the years the Internet has become a very competitive space. Putting up a website and sitting back waiting for the phone to ring is no longer an option. Selling homes online takes knowledge and requires tried and proven marketing tactics. The new ZPro 100 Series courses cover: Understanding fast start do’s and don’ts; Posting for results; Selling with single property web sites; Promoting your business; and Selling with Facebook. Z57 Academy gives real estate professionals an education, and with this knowledge comes opportunity. San Diego-based Z57, Inc. is a personal Web marketing company for thousands of real estate professionals. Founded in 1998, the company specializes in feature-rich designed websites, with content, listings, lead capture and conversion tools, buyer/seller traffic generation through effective online marketing plans, listing syndication, Search Engine Optimization, drip e-mail marketing and a highly trained and responsive customer service team. Z57 provides clients nationwide with proven real estate solutions matched with personal service from more than 150 dedicated employees. The Southern California Internet marketing firm was recognized as an Inc. 5000 company and San Diego's No. 1 Web Development and Design Company. For more information call (800) 899-8148 or visit http://www.Z57.com.